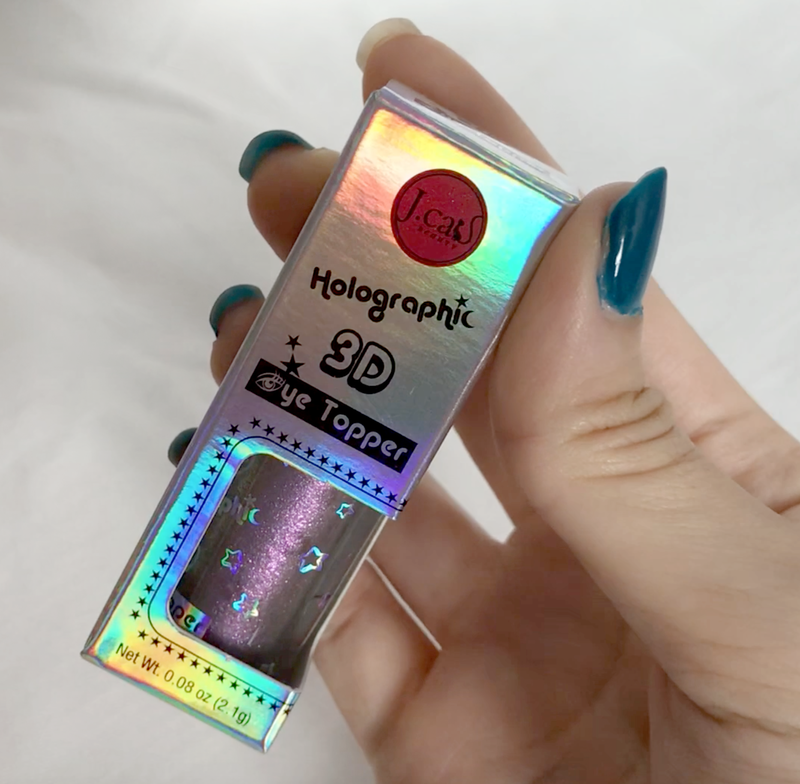 I just reviewed the Holika Holika Glitter Eye Metals a couple of weeks back and I'm so excited to review these liquid eyeshadows from JCat this week. 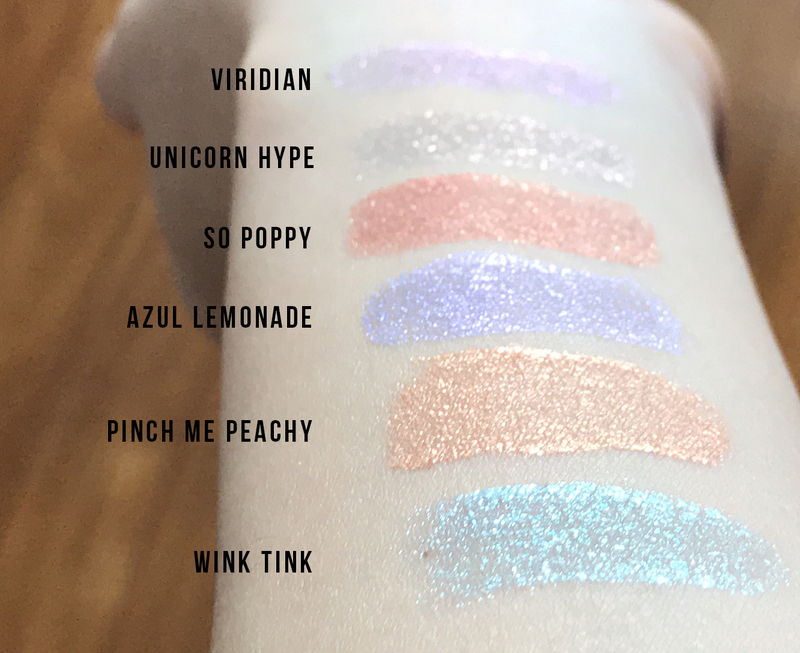 You have no idea how happy I am to see more and more liquid eyeshadows enter the market. These are the Holographic 3D Eye Toppers from J.Cat Beauty. I really like this brand because they have very affordable and good products. I like that they always release a wide variety of colors in each product series because I could use with more of everything. These retail for $6.99 on the J.Cat website and you get 2.1g of product in each tube. They are less than half the size of the Stila Magnificent Metals Glitter & Glow liquid eyeshadows but also significantly cheaper. 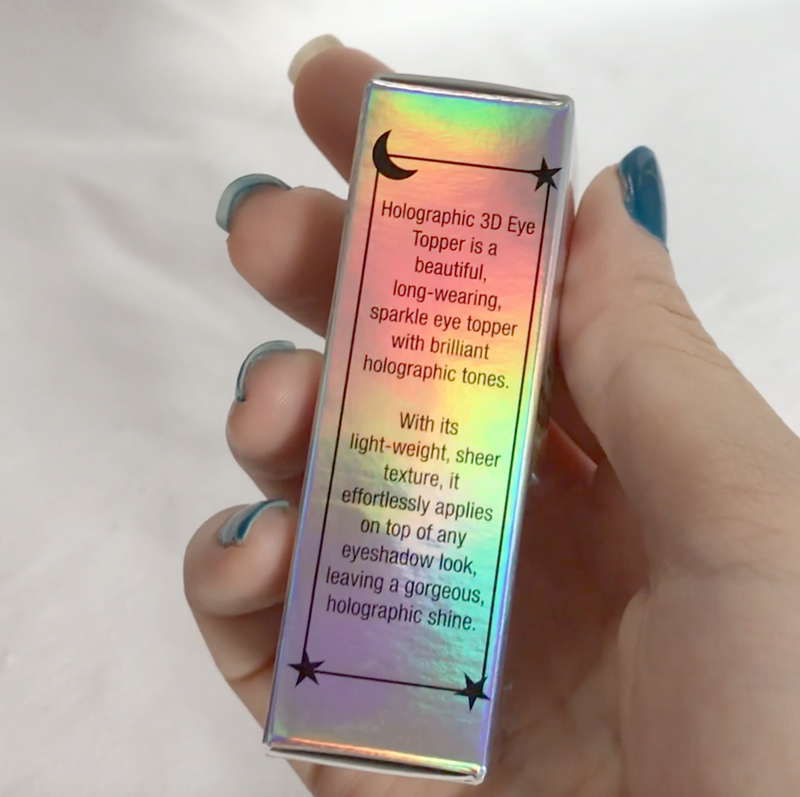 I want to start off by saying that there is nothing holographic about this product apart from the packaging. On this side of the box, we have a short description of what the product is. So, you can definitely use it alone but it is recommended to apply this over eyeshadow to intensify the look. 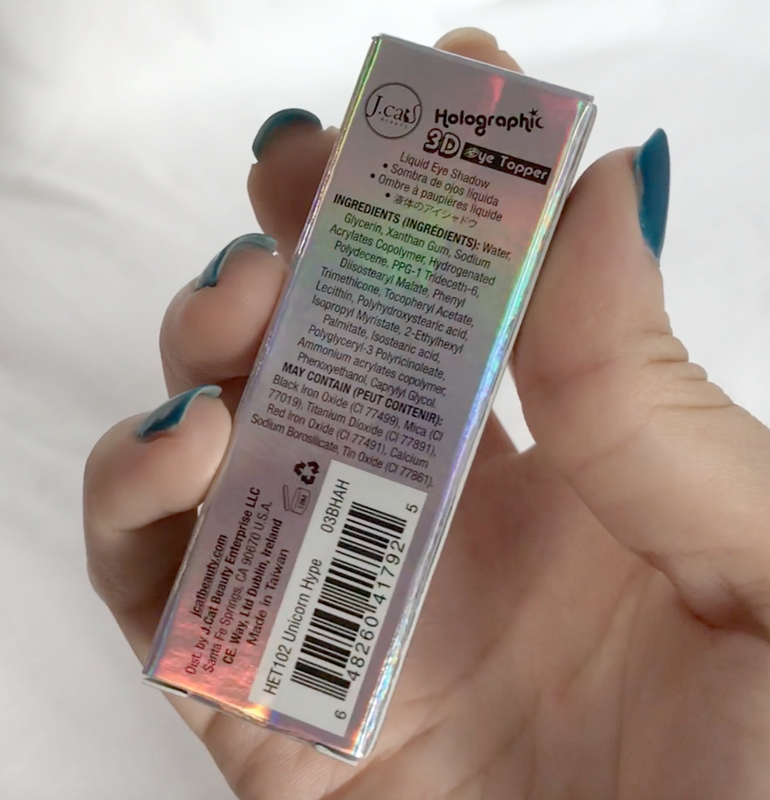 On the back, we have the ingredients and the shade name on the bar code area. I noticed that these are made in Taiwan so that's really nice. A lot of JCat products are made in China so Taiwan is a nice upgrade. This is what the tube looks like. It's a bit chubby but still very tiny and compact for traveling if you need to just throw it in your purse. The tube is decorated with holographic stars so it is very bling and pretty. 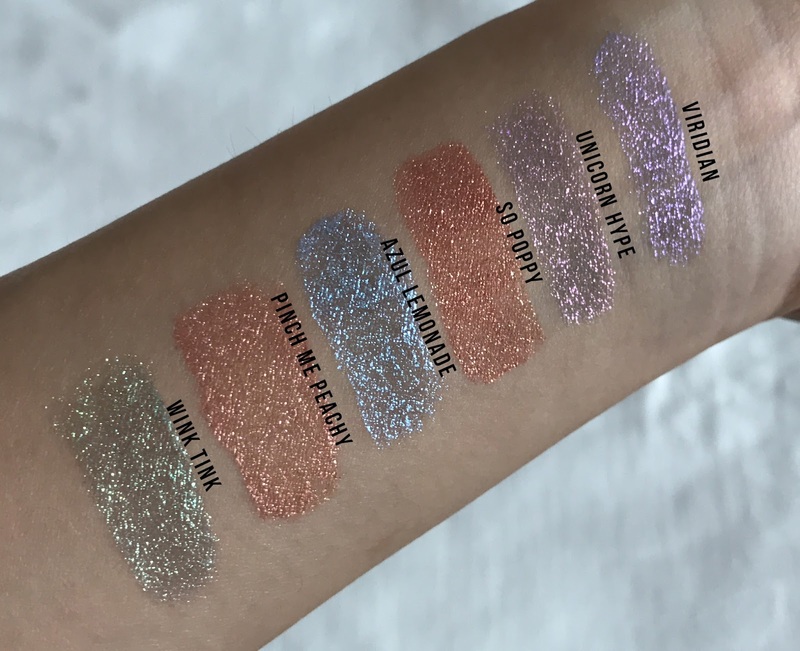 These are the swatches of all 6 shades. They do apply a little bit sheer as mentioned on the unicarton. Right eye: Viridian on the upper lid, So Poppy on the inner corner, Unicorn Hype on the lower lash line. Left eye: Wink Tink on the upper lid, Azul Lemonade on the inner corner, Pinch Me Peachy on the lower lash line. If you'd like to see it shifting on my eyes, do check my video out. You can sort of see some shifts from this picture but you really need to see them in person to appreciate them. 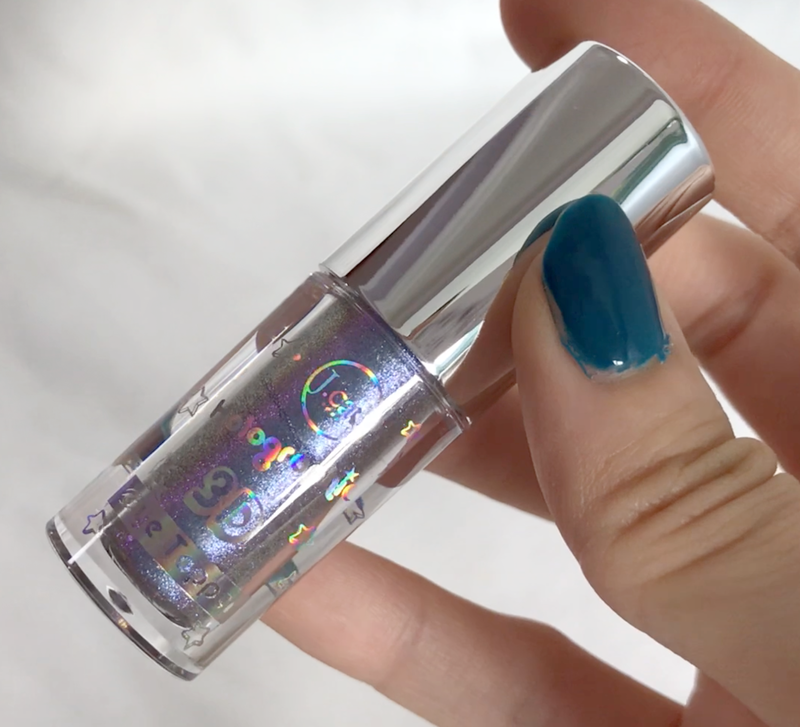 The glitters on these do budge if you rub them but the base color does not smudge or budge. These wash off with water but not as easily as the Stila or Holika Holika ones did. Overall, I am completely obsessed with these! 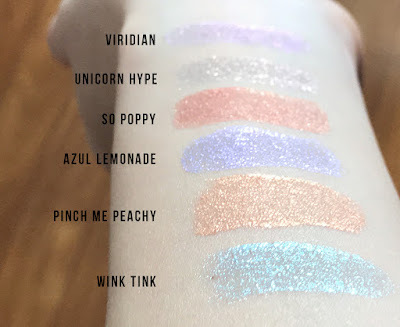 ColourPop has just launched their version of liquid eyeshadows called the Supernova Shadows so I can't wait for those to come in!